With the majority of the world population growing concerned with what they consume and what are the actual constituents of the food that makes it to their plates, the debate of food safety and crop growing practices has never been more intense. Individuals are inclined to eat more healthy produce, even when they are dining out, giving rise to a host of restaurants that promise 'organically grown' food ingredients in their cuisine. Indeed, organic farming methods have gained immense popularity over the past few years and are often compared to Hydroponics to ascertain which is a more viable and healthy form of agriculture. With the rise of the internet, information seems to be available at fingertips for everyone. Yet in the debate of Organic farming vs. Hydroponics, there seems to be a host of misinformation. This article aims to uncover some of the myths and paint a clearer picture of why Hydroponics is a superior option to organic farming. To begin with, it's probably imperative to understand the process behind what organic farming and Hydroponics actually entails. Hydroponics is described as the process of growing plants or crops in water without the use of soil, while organic farming involves choosing not to use inorganic fertilizers in the growing process. In order to be considered certified organic, a plant can be grown using only unrefined minerals. The issue however is that a number of these unrefined minerals, although natural, can be toxic in nature. For example, mined phosphate contains excessive amounts of fluoride and radioactive radium, both of which can be extremely harmful to humans. Even the use of organic fertilizers such as manure, poses the risk of E-coli and salmonella outbreaks. On the other hand, Hydroponics plants are grown in nutrient solutions usually indoors, completely free from chemicals and pesticides making them much safer. 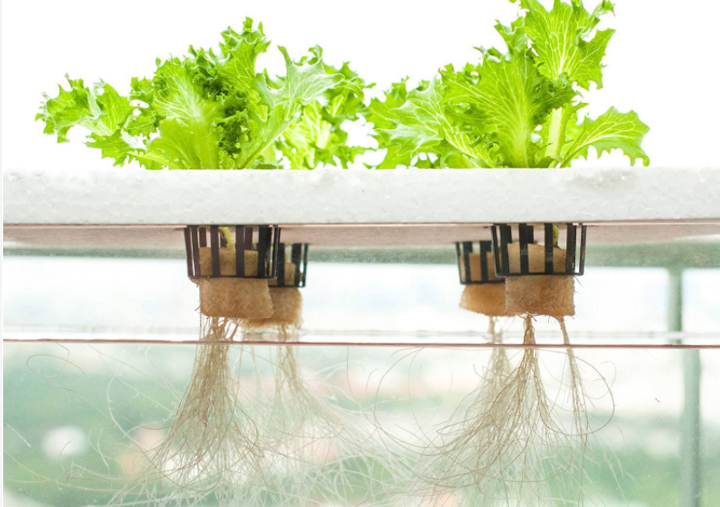 Plants also grow quicker in Hydroponic farming thanks to the controlled environment, in turn the crop yield is significantly increased leading to more production from same amount of space. There is a growing body of evidence that seems to indicate that closed-loop water recirculation systems like hydroponics and aquaponics (the coupling of fish production with vegetable production) may in fact offer an advantage over soil-based organic growing since the water chemistry of both these systems can be manipulated to boost natural plant bioactives for health benefits. Thus plants grown through Hydroponics have better nutritional value. It has been proven that vitamin content is 50% more in hydroponically grown plants as compared to conventional ones. Dubai based, Pegasus Agriculture Group highlights that the similarities between organic farming and Hydroponics boil down to the fact that both farming practices aim to protect the earth's fragile environment. However, there are some ways in which Hydroponics manages to triumph over organic agriculture in environmental protection endeavors. It uses 90% less water than traditional agriculture hence conserving the world's most important resource from depletion. It also manages to prevent soil from degradation, preserving valuable top soil for plants that cannot be hydroponically grown. Given all the added benefits of Hydroponics, the bottom line when it comes to the organic farming and Hydroponics debate is the fact Hydroponics manages to better the former in numerous ways making it a considerably more attractive agricultural method of growing plants.